Each room of this project is customized with your child’s favorite fantasy characters. Let them enjoy a new experience inspired by fantasy while you are live the joys of your kid’s favorite fantasy stories. Whatever your child’s age may be, there is magic for everyone even for all younger and old people. 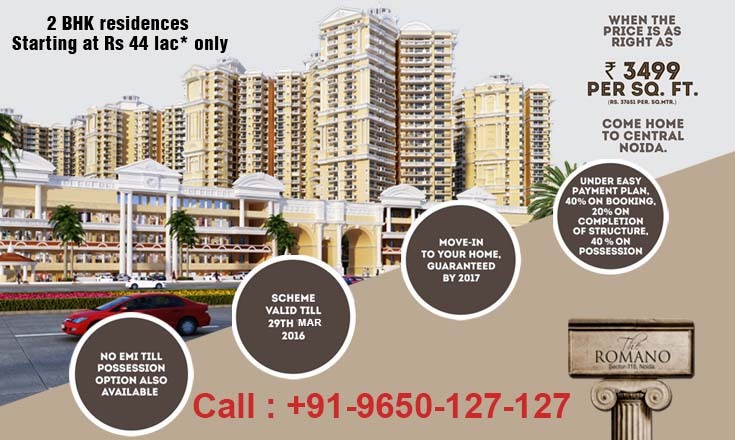 Supertech Romano is the dream of every people to live in such house which beautifully inbuilt with all luxurious amenities and their dream fantasy. Here, Supertech Group com to announce their successfully launched residential project that based on Disney theme. Group is the name of most prominent and highly reliable real estate player that always laid a helping hand in providing an actual gateway to fulfill the dream of getting standard and iconic lifestyle. With over decades of working in same field, they have gained tremendous knowledge in understanding the challenging demand of modern world in terms of getting high standard and iconic lifestyle.